But clearly it was too hard for these dads who failed with flying colour at dressing their children. This week Jeremy Basso joined the club of #epicdadfails with his attempt at dressing his seven-month-old daughter, Olivia for daycare. He selected a lovely pair of overalls but forgot one key component – an undershirt. When his wife, Brooke picked their daughter up from daycare later in the day, she was slightly confused and sent her husband a text asking what was going on with Olivia’s attire. “I sent her with that thing on,” was his hilarious reply before pleading ignorance of any wardrobe malfunction. The hilbilly look has taken the Internet by storm with thousands of comments and shares after Brooke posted the text and accompanying photo to Facebook. But, it turns out Jeremy isn’t the only dad out there who hasn’t quite mastered the fine art of dressing bub. Thousands of mums commented on Brooke’s post, even posting additional photos to prove that she isn’t alone. 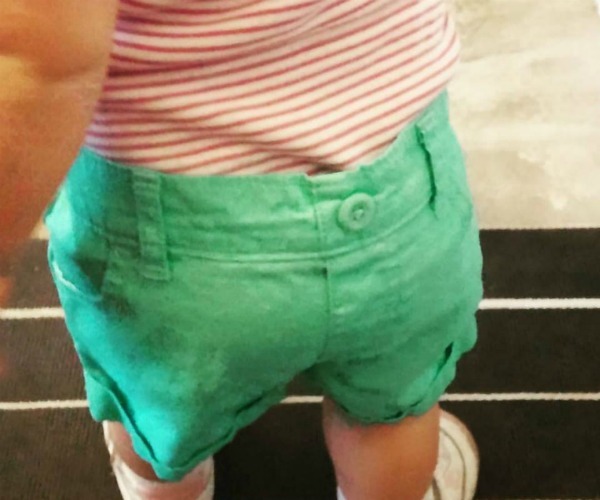 Commenter, Alison Weber admits that her husband’s attempt at dressing their daughter didn’t quite go to plan either – completely backward in fact. 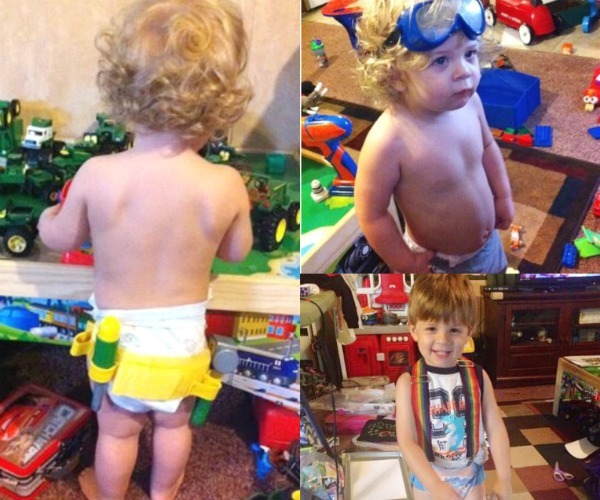 Jessica Bennett’s husband is also a natural when it comes to dressing his son, choosing to forgo clothes altogether in lieu of a toolbox, suspenders and ski goggles. But don’t worry dads – you really aren’t alone! Last year new dad Nick Davies made a similar mistake as he attempted to dress his son, Lenny in a onesie. Nick took the innovative approach, opting to put the onesies on upside down so his son would have “added scratch mitts” and “easy access for nappy changing”.